A little something special in a jar is one of my favorite ways to give a gift. Somehow everything just looks better when it’s packaged in a jar and adorned with a cute tag. Valentine’s Day is no different. Today I am teaming up with some fellow mason jar loving bloggers to bring you some fantastic Valentine mason jar ideas. 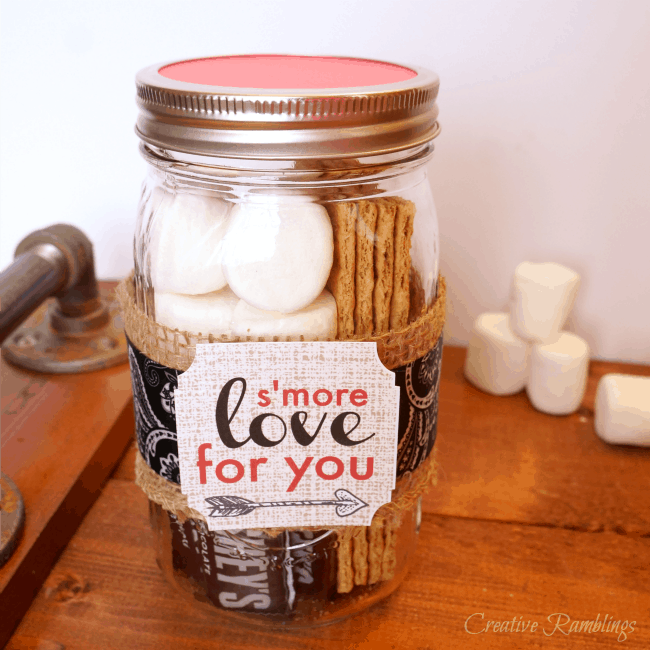 I am sharing s’mores in a mason jar for Valentine’s Day, be sure to scroll down to check out what my friends have created. 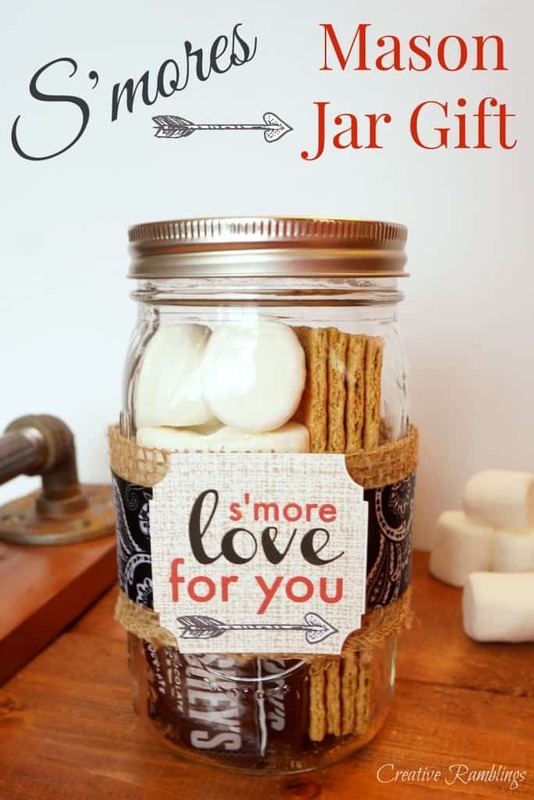 The concept of this mason jar gift is pretty simple, s’mores ingredients in a jar. It works for so many occassions, just change up the decorations and tag. 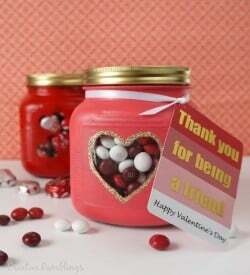 I filled my jar with graham cracakers, chocolate and marshmallows then added a few festive Valentine touches. 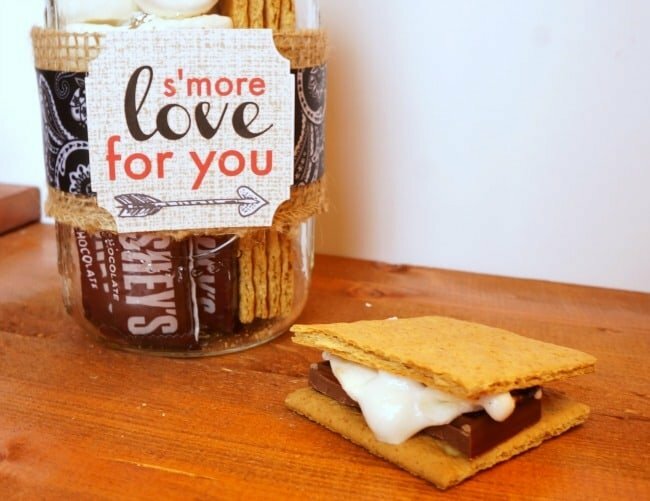 I wrapped the jar in burlap and ribbon then added a cute tag; S’more love for you. My daughter wants to give this gift to everyone, I mean who wouldn’t love this simple treat. 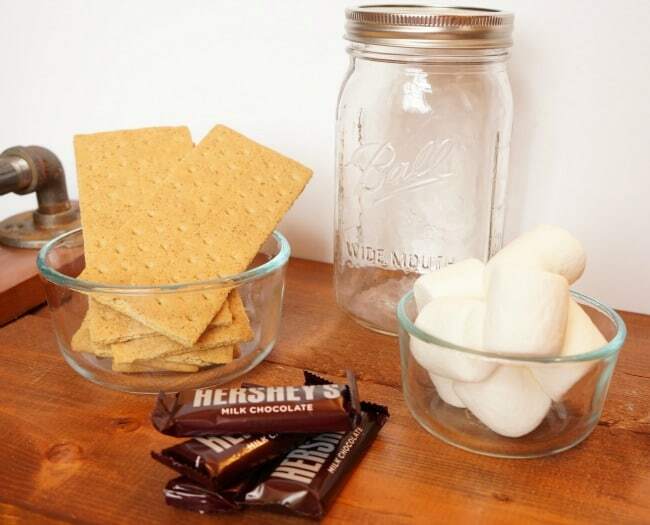 I love the idea of having s’mores ingredients on hand whenever a craving strikes. 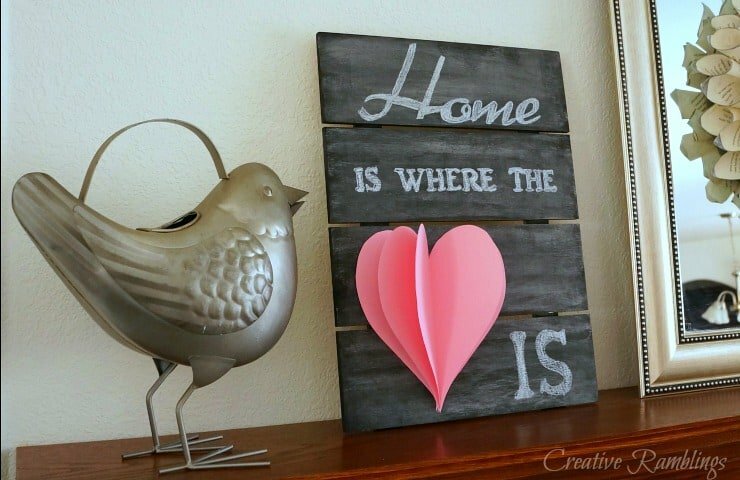 If you are a mason jar lover like me, be sure to take a look at these beautiful Valentine Mason Jar Crafts. 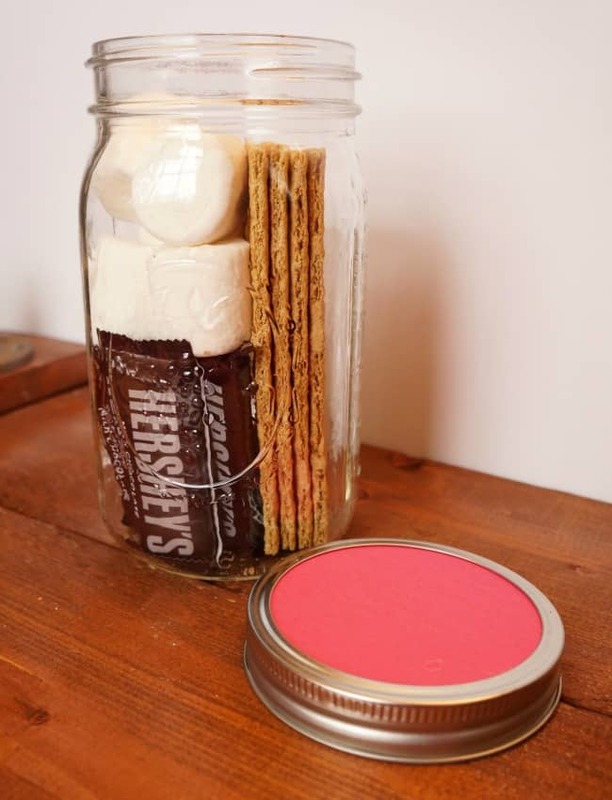 Who would you gift this s’mores jar gift to? I love a s’more treat! And your tag is tooo cute!! What a perfect s’more gift for Valentine’s Day! Awesome idea! I would love to get this! Sharing! This is so dag nab cute! I love the idea and the way everything is packaged – perfection!